Beijing: China should not hesitate to answer "blows with blows" as India has chosen to play dirty by allowing the Dalai Lama to visit Arunachal Pradesh, the Chinese official media said on Thursday. Two English newspapers -- China Daily and Global Times -- launched a scathing attack on India after Minister of State for Home Kiren Rijiju made it clear to China that Arunachal Pradesh is "an inseparable part of India". Enraged at Mr Rijiju's remarks, the papers said India is using the Dalai Lama as a "diplomatic tool" against China for its "vice like veto" against India's membership in the elite Nuclear Suppliers Group (NSG) and a United Nations ban on Pakistani terror group Jaish-e- Mohammed chief Masood Azhar. "New Delhi not only allowed the 14th Dalai Lama to visit....a historical Chinese territory....they refers to as 'Arunachal Pradesh', but the spiritual leader of 'Tibetan independence' was also escorted on the trip by India's junior minister of home affairs," the state-run China Daily said in its editorial. "To Beijing, that is a double affront," it said. China, among other territories, claims Tibet and Taiwan as its own. Under the 'One China Policy' and using the 'One China Principle' it often puts pressure diplomatically on other countries to accept its stance. China claims Arunachal Pradesh as "South Tibet"; India has repeatedly made it clear to China that the border state is an integral part of India. In a clear message to Beijing on April 4, New Delhi said that China is creating "an artificial controversy" over the Dalai Lama's week-long visit to Arunachal Pradesh, which began earlier this week. Junior Home Minister Kiren Rijiju, who is from the state, said, "Arunachal Pradesh is an inseparable part of India, and China should not object to his (the Dalai Lama) visit and interfere in India's internal affairs." Reacting to this comment, an editorial in China's state media said, "(Kiren) Rijiju might think himself cute in borrowing a line from Beijing's diplomatic representations, but he has ignored the fundamental distinction here: Like Taiwan and any other part of China, Tibet is a part of the Chinese territory no matter whether New Delhi agrees or not." The article went on to say that "Neither the 'McMahon Line'....nor....'Arunachal Pradesh' has Beijing's endorsement." The paper further stated that "If New Delhi chooses to play dirty, however, Beijing should not hesitate to answer blows with blows." Unlike China, which has been furious about the Dalai Lama's visit to Arunachal Pradesh, India has calmly explained that the Dalai Lama has gone to the state for religious purposes, not for political reasons. China considers the Dalai Lama a "dangerous separatist" who wants to free Tibet from China. 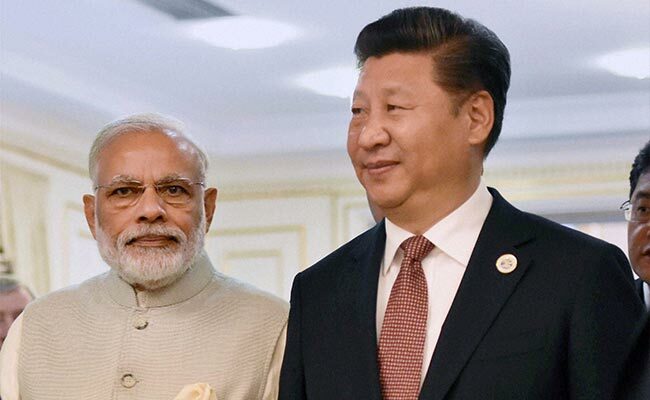 Continuing it's scathing remarks against India, an article in China's state-run Global Times said, "New Delhi probably overestimates its leverage in the bilateral ties with China." In a veiled, yet aggressive threat, the article also stated that "India has benefited from the good momentum of bilateral relationship as much as China. If New Delhi ruins the Sino-India ties and the two countries turn into open rivals, can India afford the consequence? With a GDP several times higher than that of India, military capabilities that can reach the Indian Ocean and having good relations with India's peripheral nations, coupled with the fact that India's turbulent northern state borders China, if China engages in a geopolitical game with India, will Beijing lose to New Delhi?" it stated. The article also said that "the Dalai's visit to Arunachal Pradesh this time is seen as New Delhi using the monk as a diplomatic tool to put pressure on China." China's Foreign Ministry spokeswomen Hua Chunying has also said that by ignoring China's concerns and persisting in arranging the Dalai Lama's trip, India had "severely damaged China's interests and China-India relations." The Dalai Lama, who is now 81, fled Tibet in 1959 when he was a young monk. He was in fear of his life after China poured troops into Tibet to crush an uprising. He entered India through Arunachal Pradesh after a 13-day trek through the Himalayas, disguised as a soldier to evade detection by Chinese troops who had marched into Tibet, and has occupied it since. India offered the Dalai Lama a base in the hill town of Dharamsala, where he was allowed to set up a government-in-exile. "I am India's longest-standing guest," he jokingly said earlier this week, describing Tibet as "culturally a part of India." A few days ago he had also said, "Physically and mentally I am an Indian".